Accordingly, the more likely the machine will be equipped with a 7-inch screen with 1080p resolution, integrated quad-core processor Nvidia Tegra K1, 4 GB RAM, 128GB of internal memory. In addition, the device also supports a full range of connectivity such as Wi-Fi, Bluetooth, 4G LTE and Android 4.4 operating system runs Google's latest KitKat. It is expected that the machine will be delivered to developers in late June at a price of 1024 USD is equivalent to about $500. In particular, the machine owns 4 megapixel camera on the back, camera motion tracking and depth sensors to create 3D images of the subject. 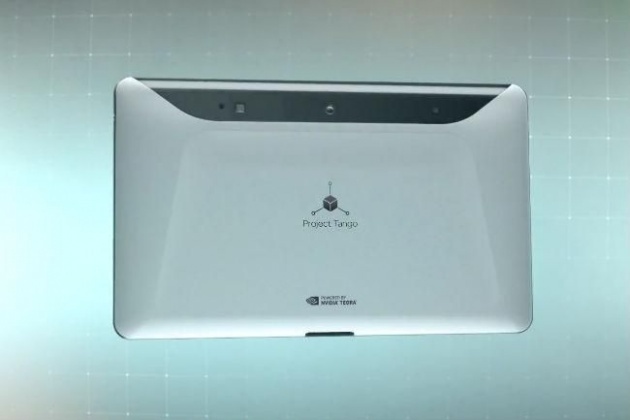 Specifically, this particular camera system will allow Project Tango Tablet recorded depths of space around the device as well as the movement of the surrounding objects, like humans recognize their surroundings.